Depending on the situation, it may be too late to hire a catastrophic injury lawyer. This is because certain lawsuits have time restrictions, usually called the statutes of limitations. If the lawsuit starts after a specific date, the court might dismiss the case out of hand. Luckily, there are exceptions to this rule. So even if you think it’s too late to hire a catastrophic injury lawyer, you could be wrong. Statutes of limitations refer to a group of laws that establish when certain lawsuits must begin. If a victim of a legal wrong does not start a lawsuit within a certain period of time after the harm occurs, time runs out. The courts will not allow the victim to sue the wrongdoer. Every state has its own statutes of limitations. In most states, the statutes of limitations range from one to several years. For example, to sue for personal injury in Georgia, a plaintiff must file suit within two years of injury. However, if a plaintiff wants to sue someone for damage to personal property, that plaintiff must begin the lawsuit within four years. The purpose of a statute of limitation law is to prevent the loss of evidence over time. Human memory fades, companies destroy old paperwork, witnesses die, and communication providers purge data from their servers. The law recognizes this and understands it would be unfair to a potential defendant if the plaintiff could sue many years after the fact, when the defendant can’t access forgotten or destroyed evidence. Normally, the statute of limitations “clock” starts to run after the victim suffers an injury. But in many situations, the victim doesn’t realize the injury until well after the statute of limitations for a particular injury has already passed. This situation created one of the biggest exceptions to the statute of limitations: the discovery rule. 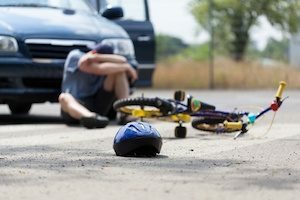 The discovery rule says the clock for a particular statute of limitations won’t begin to run until the victim knew or should have known about the catastrophic injury. For example, let’s say you had surgery. Your surgeon committed malpractice by leaving a surgical device in your abdomen following the surgery. The surgery took place on January 1, 2014. However, you did not discover this mistake until June 1, 2014. In this example, let’s say you intend to sue your surgeon for medical malpractice. Your statute of limitations deadline is June 1, 2016, not January 1, 2016. Additionally, the statute of limitation clock pauses in certain situations. One such example is when the victim is under 18 years old at the time of injury. The clock will not start until the victim turns 18 years old. This means if you don’t file a lawsuit soon enough after your injury, you can’t recover for those injuries. So yes, it may be too late to hire a personal injury attorney. However, there are many exceptions and rules to statutes of limitations. Therefore, even if you think it’s too late to file a lawsuit, you should still contact an attorney to discuss your case. Schedule your complimentary consultation with our legal team at Williams & Williams, LLC about the possibility of hiring a catastrophic injury lawyer by calling 770-823-2711.